Many companies have developed excellent, mature, software platforms for the online gaming industry since its beginning. 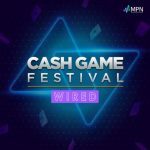 Over the years, due to the continued growth of this industry there has been an improvement and consolidation of these platforms up to the point where we are today, with a few online casino software platforms that dominate with significant market share. 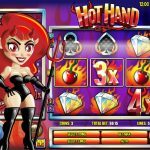 The goal of this page is reviewing these leading online gambling platforms, and helping you to choose an online casino that uses software provided by a gaming developer that best fits your personal needs. Since 1998, Realtime Gaming, also known as RTG, has built a good reputation among online casino players and the online gambling industry as one of the top online casino games provider. Realtime Gaming also provides a quality product and service which is constantly being fine tuned and developed. One of the best characteristics of Realtime Gaming is the large number of games to choose and play including very good progressive slots, table video games, keno and bingo. Considering that Realtime Gaming is one of the top online gaming platforms that still accepts US players, the RTG casino platform is very popular among online casinos accepting U.S. players. It also offers an instant play, no-download version of its software client. 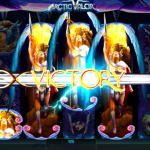 Microgaming is the leading online casino software provider since 1994 with a portfolio of more than 400 games including the very popular Mega Moolah Slot. 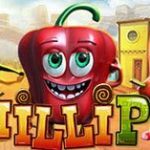 The company, which operates out of the Isle of Man, has taken a leading role in this industry ever since it launched its first online gaming platform. In 2003, Microgaming became eCOGRA certified, which goes to demonstrate its interests lie in player protection and the fairness of its games. Since then, Microgaming has won lots of awards such as the Best iGaming Software in 2007 and 2010, Meister Award in 2010 and EGR B2B Awards in 2011 and 2012. The Microgaming casino platform delivers an easy and intuitive software designed to make it easy for players to navigate to and from their favorite casino games. There is also an option of an instant play web-based software version, so players are allowed to choose between playing online or to download the software client. Rival Gaming is another of the leading online gaming developers and providers of online casino software whose games are licensed by tens of operators around the world and this number grows every month. A great characteristic of Rival casino platform is the players are allowed to wager with real money and play for fun as well. Rival offers rich audiovisual slot games, table casino games, progressive and also 3D casino games. Unfortunately, Rival gaming no longer accepts players from the United States so there is one less option if you reside in the U.S. and want to play 3D games. But there are still a few online casino software platforms available to play 3D slots and table games. Another great benefit of Rival Gaming casino software is that its download version is fully compatible with Windows and Mac users, unlike most other online casino software platforms, which tend to be compatible only with Windows system. Pretty much all Rival Gaming casinos have Mac support. Cryptologic was founded in 1995 with the purpose of develop encryption technologies for payment processing, game licensing, and support services. The company launched it’s first online casino, InterCasino, which was the first fully functional online casino based on this technology and made of Cryptologic a premier online casino gaming software providing platform for this multi-billion gaming industry. Over these years Cryptologic was able to develop an excellent suite of online casino games that you may choose from and play at. Cryptologic supports multiplayer casino games, like Roulette, Blackjack, Bingo, Poker and also offers an instant play, no-download online casino software version. In the beginning, WagerWorks was a subsidiary of Silicon Gaming, a slot manufacturer, which was bought by international gaming giant International Game Technology (IGT) in 2005. 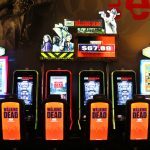 IGT is the most reputable and successful land-based slot machine manufacturer today. 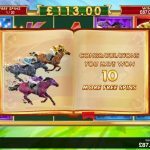 This has allowed the company to release their best slots games online. WagerWorks is the only online casino software company that has it origins bound to a land-based gambling machines company. 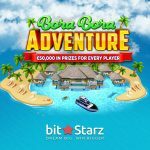 The online gaming software provider brings tens of different games that players can freely choose from with high quality audiovisual effects and the highest paying progressive jackpots in the industry. Another of the great characteristics of WagerWorks is the instant-play version of the software. Playtech was founded in 2000 and since its inception it figures among the biggest companies in the online casino industry serving dozens of poker sites and internet casinos which are managed around the world. Playtech provides a very comprehensive gaming platform that brings a large range of products like Bingo, Poker, Slots and more. Definitively the Playtech software has one of the most creative online casino games available on the industry with innovative live dealer and many other thrilling games features. It also brings full support for mobile game offerings. 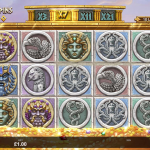 Players can choose between downloading the software client provided by the online casino or can play the instant-play online version.